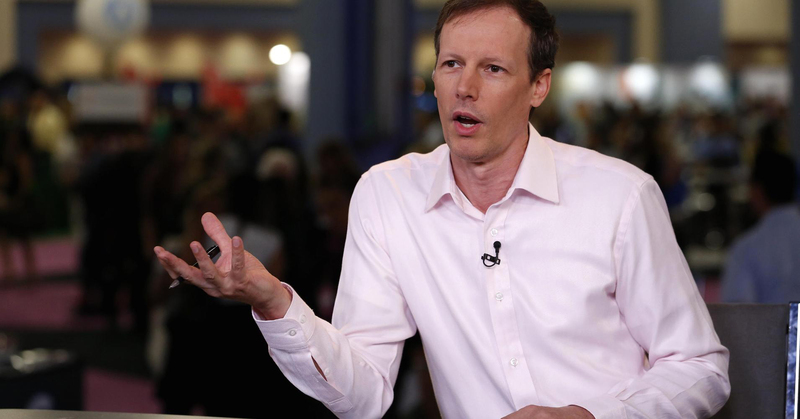 Jim McKelvey – Microsite | Celebrity Speakers – Serial entrepreneur Jim McKelvey gives keynote speeches on innovation and creativity, especially as it relates to technology trends. His topics include payments, mobile and the future of money as well as connecting science and arts with the business world. The idea was borne out of Jim’s glass blowing company and the lack of being able to accept credit or debit card payments. Jim began blowing glass as a teenager, wrote an instructional textbook and ended up with his company – Third Degree Glass Factory – hosting a global glass conference. The demand for Jim’s work, which was not originally for sale, was so great Jim moved onto forming another company called Glass Faucet, to sell them. Jim’s latest ground-breaking initiative is LaunchCode, which he created to remedy a problem he saw in a lack of IT talent growth. In addition to this he is Managing Director of another venture, SixThirty which hooks up financial technology companies with not only mentoring and money, but access to the ecosystem of financial institutions. Most recently Jim has been appointed Special Advisor to Green Visor Capital. You have already created a number of really successful businesses. Where do you get your inspiration from and how do you think you are able to maintain such a great track record? I focus on problems, not opportunities. I know when a problem is solved, but I am no good at recognizing when I have properly seized an opportunity. It sounds negative, but solving problems is very satisfying and it’s easy to maintain focus. Since I only work on problems that I care about, I rarely have motivation problems. Most importantly, I surround myself with people much smarter that I am who want to solve the same problem. Focusing on the problem allows people to self-manage with very little formal control structures. Happy, motivated people can do anything. Your business ventures have all been high-tech. As an entrepreneur do you focus on high-tech, or is it a result of the environment you have worked in? I mostly ignore technology and assume whatever technology I need to solve a problem already exists. Sometimes this is a bad assumption and I have to go into the lab and build something. Even then, however, I try not to get too distracted by the technical possibilities. Payments, Teaching, Publishing, Art, and Construction are not traditional tech industries, but technology is so powerful that it eventually affects everything. Technology teaches us to adapt to rapid change in a world of imperfect information, and people who know how to play that game have an advantage over those who don’t. Glassblowing is a passion of yours. Does this help inspire your creative mind in a business capacity or is it pure artistry? I love working hot glass. It demands a combination of physical skill and instantaneous decision-making that clears my mind wonderfully. Glass also rewards risk, to make something great you must be willing to destroy something that is already good. Glass also reflects the mental state of its creator, you can literally see the artist’s mental state frozen in the final piece. I also truly enjoy selling something nobody needs. Most purchasing decisions are rationalized, but buying art is pure emotion. What in your opinion is going to be the next big digital change-maker? Two-way communication is certainly a profound change; the history of communication has been a one-to- many relationship. Now we can all talk back and that’s never happened before. But, if you focus on this or any other macro tech trend the implications are overwhelming. Instead, look a problem that has never been solved and remember that every day you get new tools. Where did your idea for Square come from? I wanted to sell a piece of glass and my iPhone couldn’t do it. Jack Dorsey had already invited me to start a new company with him, but we didn’t know what we were going to do. Once I lost that sale I knew the problem that we needed to solve. 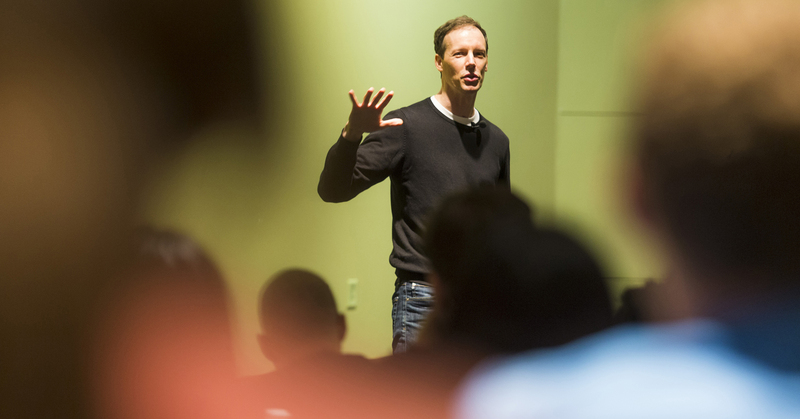 Jim McKelvey is a dynamic public speaker who combines his energy with his practical experience working with executives and various companies. His lectures on a range of topics from art to entrepreneurship are very popular. He provides audience members with real world solutions to real business challenges. If you would like to book Jim McKelvey for your next event, please call Dagmar O’Toole on +44 1628 601 462 or send an email to dagmar@speakers.co.uk. To learn more or to book Jim McKelvey to speak at your upcoming event please do not hesitate to call or email me.